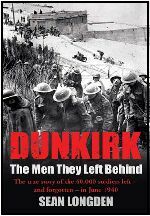 Born in Bedford in 1965, Sean Longden first became interested in history as a child listening to his grandfather’s tales of Gallipoli. He went on to study history at the School of Slavonic and East European studies, University of London. After graduation he worked in a number of photographic archives and press agencies. During this period he worked as a picture editor, indexer and caption writer. 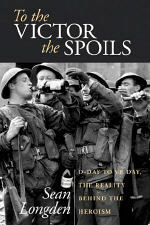 It was working with archives of World War Two photographs that sparked his interest in the period and inspired him to write books that look beyond basic military history and into the lives of the men who fought the battles. This led to the writing of his first book, To the Victor the Spoils, for Arris Publishing. 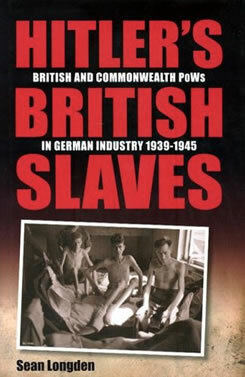 He is now working on a number of other World War Two titles, including a story of British Prisoners of War in Germany. 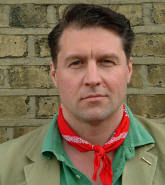 He is married to a publisher, with whom he has two children, and lives in Surrey. I had submitted a book to another agent along with a list of future projects. They recommended that Andrew might be the ideal agent for me. I had seen his name on the website of the 'Society of Authors' and thus decided to give him a call. I think I was convinced that he was the right agent for me almost as soon as I called. Andrew picked up the call personally thus I did not first have to expalin myself to a number of people before reaching him. We made an immediate appointment and I was impressed that everything was carried out at a personal level. 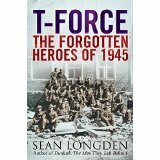 T-Force: The Forgotten Heroes of 1945 by Sean Longden is the subject of a fascinating feature in the Daily Mail today. Sean Longden’s book T-Force: The Race for Nazi War Secrets, 1945 was the subject of a feature in the Daily Mail this week. 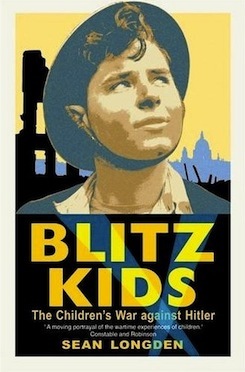 Child Soldiers of WWII, based on Sean Longden’s Blitz Kids, is on Channel 5 tonight at 8pm.